The decision to change doctors or midwives is never easy, particularly during pregnancy. 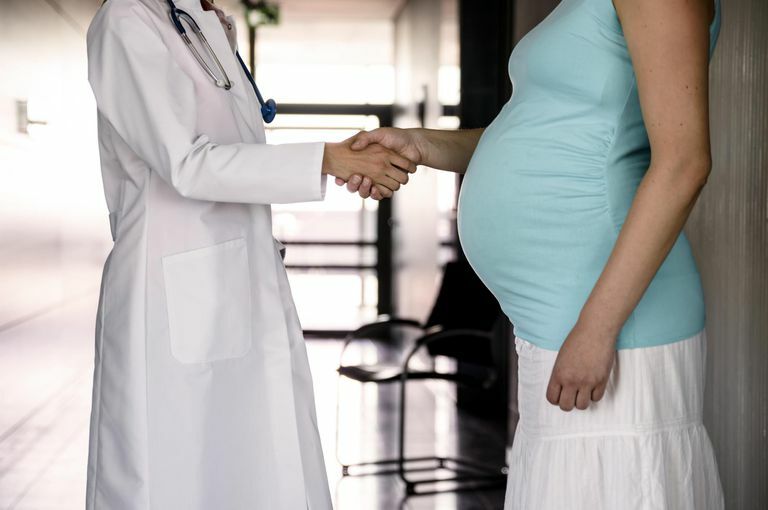 Though sometimes there comes a point when you realize that neither you nor your practitioner are happy and that you need to find someone who can provide you with the care that you need and deserve during pregnancy. The first thing you should try to do is to resolve the issue with your midwife or doctor. Explain the problem and search for a resolution together. This may not always be possible. Sometimes, you're seeing the person who has been an amazing GYN to you for years, but you find you need something different in an OB. If you find yourself in a situation where you have tried and things still aren’t working out, it is time for a change. Interview other practitioners. Go back to your original list of questions and find others to interview. Perhaps you had a second choice when you originally selected this doctor. If you’ve already interviewed them, you might simply select them off the bat. If you didn't have a previous list, start one. Talk to mothers who have had experiences like the one you're hoping to have and start there. Remember to ask specific questions, not "Did you like your doctor or midwife?" That's very subjective. Maybe you want to know more of something like: "What doctors in this area are supportive of natural birth?" "Which practices have all women?" Make a decision on which one you will choose. Call to see if the practice is accepting new patients and takes your insurance. Sometimes, at the end of pregnancy, you may have a harder time switching practices. Usually, you can get in if you talk to the office manager or practitioner and explain the situation. Notify your old practice. Once you’re ready to leave, you will need to notify your old practice. You can do this in writing or via a phone call. Be sure to cancel any previously scheduled appointments well enough in advance to prevent missed appointment fees. Get a copy of your medical records. You will need to request, in writing, a copy of your medical records. You can choose to hand carry ​these records or to have them sent directly to your new practitioner. State laws may vary slightly but they cannot refuse you your records, they can, however, charge you for them. This is usually a slight copying fee and in many states the first copy is free. This can be done in person or have them fax, email, or mail you the form they need you to fill out. Start seeing your new practitioner. Be sure to make an appointment with the new practitioner. Depending on how far along you are in your pregnancy, the timing may not be convenient if they are working you in. You may or may not decide to let your old practice know why you have left their services. If you think that you would feel better or that they would learn from it, you may decide to send them a letter. Many women never hear back from their old practices. Though occasionally they will get a letter or a call. Decide in advance how you will handle that and be prepared for it, in case it happens. While switching doctors is never easy, so many moms have done it before and are very glad that they did.